We have always manufactured our own spring mounts and inertia pouring frames in the UK, rather than being restricted to licensed or imported equipment. This gives us the flexibility to offer a wide, multi-purpose standard range, but also to design and manufacture isolators for special applications. From stock, we can supply mounts and hangers suitable for point loads up to 2.5 tonnes, and with working deflections of up to 50mm (both with 50% overload capacity). 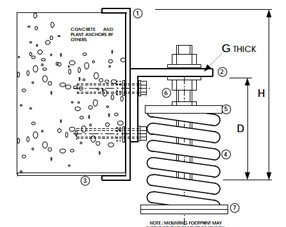 Anything outside these ranges can be quickly designed with our in-house software, and manufactured to order. All isolators are galvanised after manufacture, making them suitable for external use in normal environments. 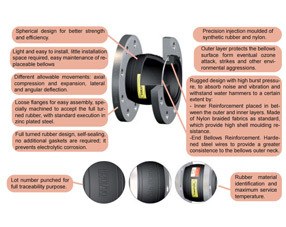 For corrosive atmospheres, isolators can be manufactured from stainless steel. Economic repair of equipment is essential in keeping costs down. Our engineers can strip and detail the work needed to allow clients to make an informed decision to repair or replace failed pumps. Where repair is the way forward, we offer a complete service from assessment of the equipment, safe removal from the system, stripping down and replacement or refurbishment of all components. All repaired units are fully mechanically and electrically tested prior to return to the client. 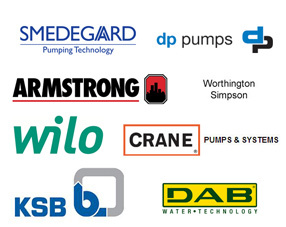 We service, maintain and repair all major pump brands…..